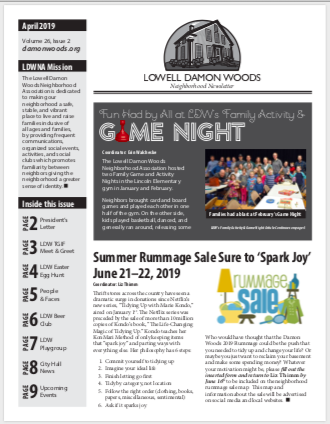 The Lowell Damon Woods Neighborhood Association would like your help with a fundraising event that will help support their scholarship program. 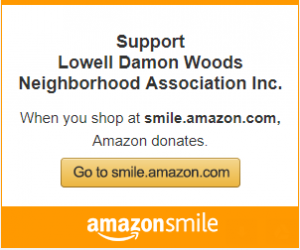 They have been chosen to be Metcalfe’s charity of the month for March and will receive a percentage of the sales anytime you show either a printed coupon or an electronic version of the coupon below on your mobile device. 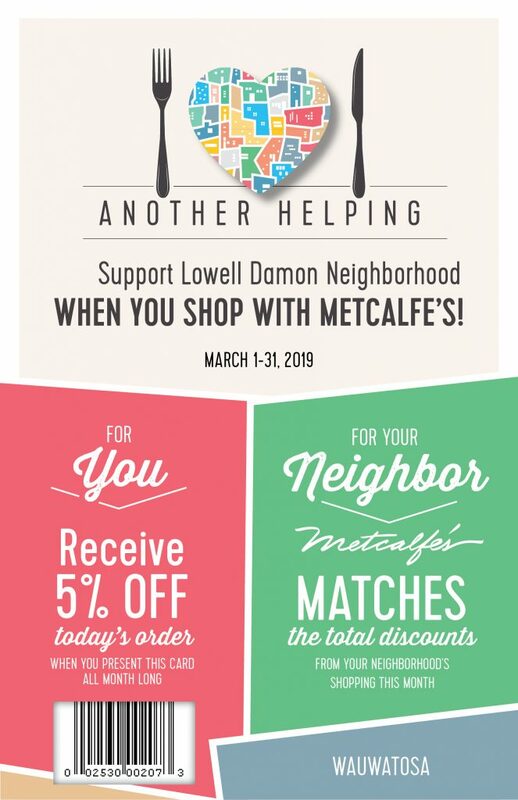 Capture this jpg and print it or save it on your phone to save 5% when you shop at Metcalfe’s and help support Tosa’s law enforcement organizations. 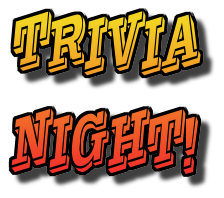 Posted in Uncategorized	| Comments Off on Trivia Night is Back! 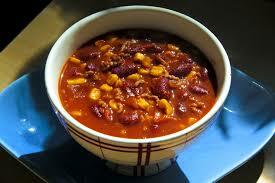 Do you make a darn good chili that family and friends rave about? Then enter the LOWELL DAMON WOODS CHILI CONTEST held in conjunction with the Annual Family Fall Fest. 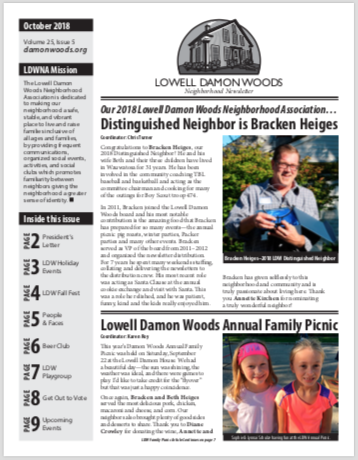 Not only does the winner earn bragging rights as the BEST chili in the Damon Woods neighborhood, he/she will have the recipe printed in the December newsletter, AND take home the coveted traveling ladle trophy to showcase in their home for the next year! TGIF this Friday October 12th at the home of Steve and Melanie McCauley. You don’t have to choose between celebrating the Brewers and hanging out with your great neighbors! Grab the garb of your favorite baseball team and cheer on the Crew from TVs both inside and outside the house! As usual, please bring your favorite beverage and a dish to share! 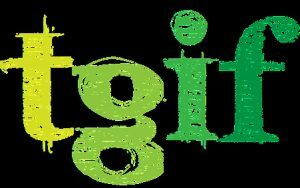 Posted in Uncategorized	| Tagged tgif	| Comments Off on TGIF & the Brewers! 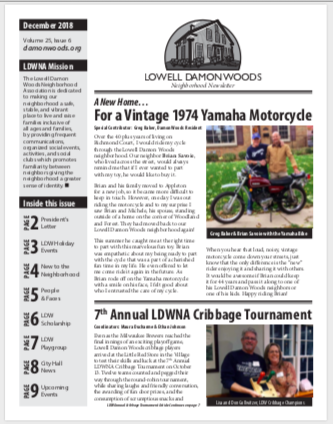 The October Newsletter is now available for viewing and downloading. 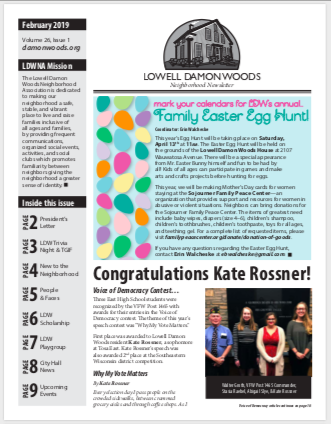 Click on the image below to read this month’s newsletter. For members, dinner is $10 per adult and $3 for kids (Ages 4 –11). For member families, we have a maximum price of $25 per household. Non-members are $15 per adult and $5 for kids (Ages 4 –11). Deadline is Saturday, September 15th. 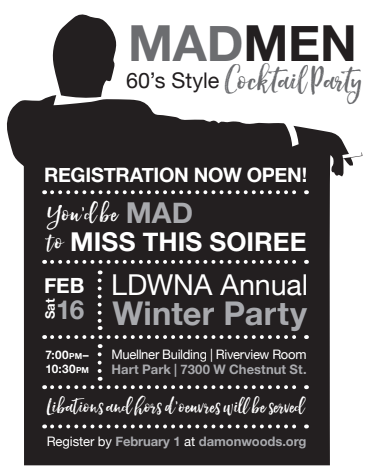 Register online using this link.